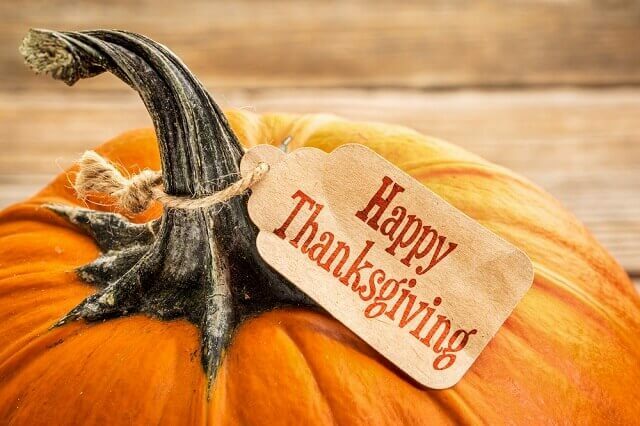 Top Injuries on Thanksgiving You Can Be Thankful for Avoiding This Year - Law Offices of David M. Benenfeld P.A. Thanksgiving is that time of year where families gather together, watch football, eat a delicious roasted turkey, and create memories. While Thanksgiving is notorious for forcing everyone to over-indulge and possibly cause stomach upset, it is also a prime time of the year for local emergency rooms. Specific injuries tend to increase on Thanksgiving. And if you would rather spend time at home than at the ER, being aware of these common injuries is essential. How often do you break out the carving knife and cut up a large roasted bird? If you are like most people, it is once a year on Thanksgiving. So, it should be no surprise that the number of knife injuries seen in emergency rooms increases on Thanksgiving. It is not just the turkey carving that poses a risk. All of the prep work for the stuffing and side dishes means more time handling sharp knives and increases the risk of a severe cut. Take your time and exercise caution whenever you are handling a knife. Remember to tuck your fingers under and in so that they aren’t in the way of the blade. Despite the news reports and warnings each year, people still choose to deep fry their turkey without paying attention to the safety protocols. Deep fried turkeys are indeed moist and delicious, but nothing is worth it when you suffer second and third-degree burns or cause a grease fire in your home. Thanksgiving almost always invites indulging in food and overeating. Sometimes, guests feel compelled to eat faster to keep up with the festivities or to hurry back and watch the game. Other times, the conversations while eating can lead to accidentally choking on some food. Either way, refresh yourself on what to do if someone is choking, and make sure everyone takes their time chewing at the table. Back injuries occur in a few ways on Thanksgiving. For starters, lifting a 20-pound turkey to and from the oven is sure to increase the likelihood of a strain. Remember to lift with your knees as you pull that bird from the oven. If it is too heavy, ask for help. Also, make sure you already have a place cleared to set down the turkey once you get it out of the oven so that you are not scrambling. Unfortunately, it is more than just turkey consumed on Thanksgiving. Many households also indulge in wine and other alcoholic beverages, and many guests will assume they are okay to drive when they leave the house later – after all, the sun is still out. Thanksgiving does see an increase in car accidents, including DUI-related accidents. If you are a host, make sure your guests are safe to drive. If you plan to drink on Thanksgiving, have another family member serve as your designated driver so that you are not operating a vehicle intoxicated. Any time you work with raw meat you have a risk for bacterial infections. The Centers for Disease Control and Prevention (CDC) recommends that your turkey reach an internal temperature of 165 degrees Fahrenheit before removing it from the oven. They also recommend thawing the turkey inside your refrigerator and never on the countertop. All of the excitement of watching the big football game encourages the family to play a friendly game of football themselves. The only issue is that most people playing do not normally engage in contact sports. When the game turns rough, someone is likely to have a strain, sprain, or fractured bone that will require immediate medical attention. Typically, overeating causes a stomach ache, indigestion, and other gastrointestinal issues that do not need emergency care. However, in rare cases, someone may overindulge to the point of affecting his or her diabetes or suffering a heart attack. Car accidents happen on Thanksgiving, especially with so many people rushing from house-to-house trying to make it in time for dinner. The time for accidents also changes. Instead of seeing an increase in car accidents at night, you see them more during the day – since most people will eat Thanksgiving dinner before 3:00 pm. To avoid becoming a statistic, give yourself extra time to leave the house, deal with the traffic, and still make it to your destination in time for the game and the food. Slip and fall injuries are common on Thanksgiving, too. These injuries can range from something minor like a few lacerations and bruises to something severe like a traumatic brain injury (TBI) or nerve damage. You see slip and fall injuries more at grocery stores where there are massive crowds before Thanksgiving and the following day during Black Friday rushes. It would help if you did not have to pay the price for someone’s negligence. If you were seriously injured on Thanksgiving because of the negligent actions of another person, contact an injury advocate, right away. An attorney can evaluate your case and help seek compensation against the at-fault party. Compensation for injuries might include lost wages, medical expenses, and pain and suffering. The only way to see if you have a case is to speak with an attorney. For your injury claims, contact the Law Offices of Law Offices of David M. Benenfeld P.A Our attorneys are here to discuss your rights and fight aggressively for the compensation you deserve following a severe accident. Contact us today to discuss your case during a free consultation at 954-677-0155 or request more information online. Best Practices for a Safe, Festive Halloween Night How Does Workers’ Compensation Work in Florida?